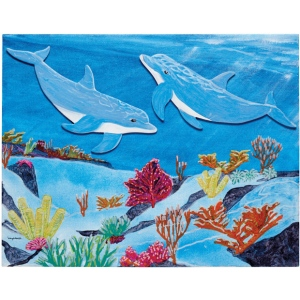 Designed by nature artist Wyland. 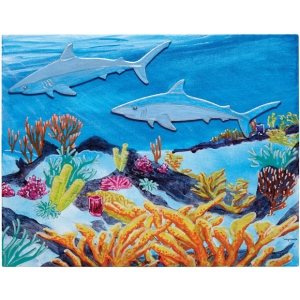 * Each kit includes a canvas panel with coral reef outlines (plenty of room to customize the underwater scene) two canvas board marine animal shapes and a painting tip and reef fact sheet. * Backgrounds for each kit match up side by side to decorate and hang the whole series! Ready to paint with acrylics oils or tempera. * Accent with glitter beads and more. * Background canvas panels measure 11" x 14".